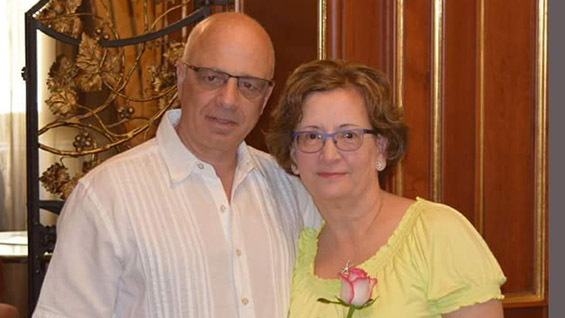 Carmelo Pizzuto, director of Facilities Management, has decided to retire from his post after 20 years at The Cooper Union. "These were some of the best years of my life," Mr. Pizzuto recently said. Known for both his dapper appearance and relaxed mien, he started at the school as a carpenter, a skill he learned in the United States having emigrated from Palermo when he was 17 years old. In 2009 he was promoted to senior maintenance supervisor, a position he held for five years before taking the helm of the department that makes sure the school's physical plant is running smoothly and efficiently. Nicole Thomas, office assistant for Buildings and Grounds, has found Mr. Pizzuto to be not only a fair boss, but an inspiring one. "He has redefined the way bosses are usually perceived. He has selflessly mentored and encouraged me to pursue avenues in my career since the first day I started working in the B&G office." Thanks to his encouragement she's currently studying to become a licensed refrigeration machine engineer, a field made up of fewer than one percent of female engineers. Mindy Lang, creative director in the Office of Communications, who has collaborated with Mr. Pizzuto over the years, concurs. She notes that "he has old world charm. He makes people want to do their best." For his part, Mr. Pizzuto thinks the secret to his success is straightforward: "I always treated everybody on campus with respect including faculty, students, and staff," he says. "I encouraged The B&G staff to better themselves by taking a class or learning from other trades at the job site." Getting personally involved is practically a requirement for working at a small institution like Cooper, and on that score in particular, Mr. Pizzuto was always a natural fit. He made a point of extending himself for the many exigencies of the job, and gracefully so, even in the face of challenges like Hurricane Sandy. Ms. Lang gives a prime example: "I took Carmelo out for lunch last month the first time he tried to retire. I asked him to stay on board until inauguration week was completed. It took all of five minutes to convince him to agree." She confesses to concocting other excuses to put off his retirement, but she says, "I think he's on to me." "I consider the work that took place in the green room of the Great Hall as Carmelo's parting gift to The Cooper Union," says Architecture Archive Director Steven Hillyer, who was a producer of the "Who Needs Truth?" event during inauguration week. "He made things happen at a speed that was unthinkable, and ran things in a clear, precise, and collaborative way. He also managed to get everyone on his team energized to go above and beyond what needed to be done in such a short amount of time." Beyond inauguration week, Mr. Pizzuto regularly gave his all to ensure that events ran without a hitch, says Christine Sarkissian, manager of rentals. "Carmelo was always looking for solutions and ways to accommodate our events and clients. He could anticipate what we needed even before we asked him." 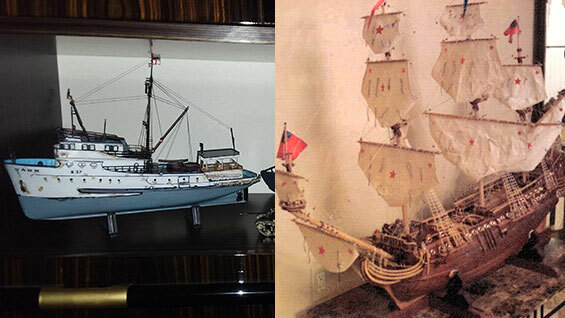 A lover of beautiful design, particularly the FIAT Spider 123 sports car, Mr. Pizzuto also builds intricate models of ships, a hobby he plans to continue in retirement, as well as resuming his love of playing guitar, tennis, and soccer. But most important to him is being with his family. In his resignation letter to President Sparks, Mr. Pizzuto noted that "life is fleeting," and he wants to spend his time now watching his grandchildren grow up. Ms. Thomas sums up feelings expressed by people all over campus: "They don't make bosses like him anymore. He brought out the best in every single team member. He's nothing less than a real-life superstar to me."